Recently completely upgraded our cottage has everything you need for a very relaxing holiday. Plenty of space with 3 en- suite bedrooms,open plan sitting room kitchen fully fitted out with everything you might need,electric cooker,gas hob,fridge freezer,microwave,toaster,tv and fantastic woodburner. Lovely private patio to sit and view the lovely countryside. Plenty of space outside for cars. There is a garden room off the patio with garden furniture and lots of space for bikes,fishing tackle,walking equipment etc. My husband and I bought Coates farm 30 years ago after our girls flew the nest we decided to convert on of our buildings ( stables to girls event horse )to a holiday cottage named it Harry's House after one of their horse and proceeded to enjoy all the lovely people we have met during the years. My husband Is retired now and we have 2 lovely dogs Labrador and cocker spaniel who love children and peoples We love where we live and hope you visit us to see what lovely countryside there is in shropshire along with all it's attractions. Amazing house, everything you need is provided. Three quality en suite bedrooms. Great location with marvellous views. a well deserved five stars. We had an idyllic stay at Harry's house. It is very well equipped and comfortable. The hosts were quick to act when there was an issue (out of their control) on the first night so that we were impacted as little as possible and felt valued and looked-after. Thank you! Wonderful house with fantastic views, highly recommended. Spent a wonderful few days at Harry's House, it is a great base to explore the surrounding area. In a very peaceful location surrounded by fields with fantastic views, especially of early morning sunrises. The house was spacious, kept to very high standard and well equipped, a real home from home. Pat and Bruce were excellent hosts, very quick to answer any questions and it was nice to meet Pat during our stay. Would definitely recommend and hope to return in the future. We stayed a week and loved it, a real home from home with everything you could need to make it very comfortable, our children (10 & 8) really enjoyed it and loved the sheep we could see from the window. It is in the middle of the country and if you want to see the area you will need a car but it is so central with Bridgnorth 10 minutes drive and Telford 30 minutes away. Fantastic cottage in beautiful surroundings. Everything we wanted for a relaxing week away. 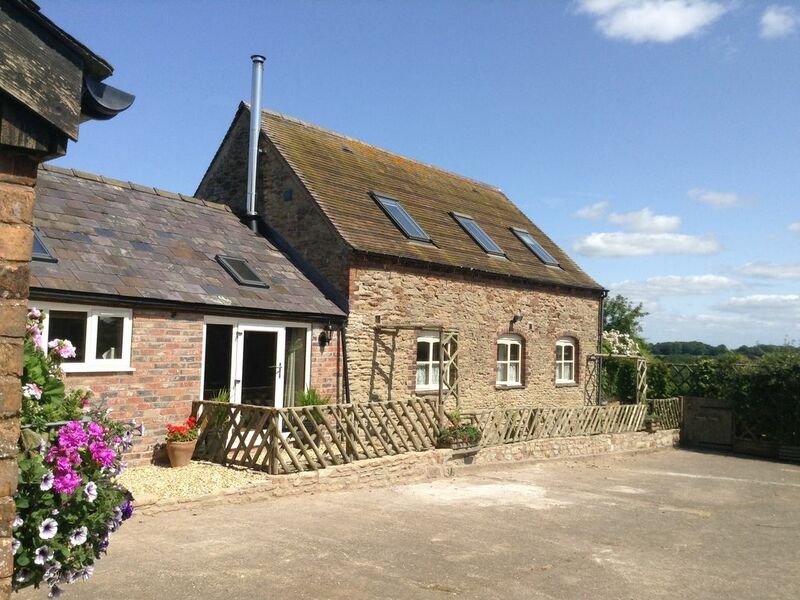 Lovely cottage set in beautiful area just outside Bridgnorth. Fanastic views across the fields. Cottage very clean, comfortable and well equipped. Hosts extremely welcoming and friendly. Beautiful part of the UK and lots of places of interest to visit nearby for all the family. Perfect for a relaxing, peaceful holiday. Will definitely return! The hosts were great. We enjoyed a wonderful stay in the country. Local to bridgnorth with its funicular and Severn valley railway. Ironbridge with its museums and attractions. Near to the borders of wales and herefordshire. Shrewsbury and the shropshire hills. Lots of national trust properties in easy reach. Please phone us for rates as we are flexible if you are a party of less than 6 persons. All electric,heating,gas,bed linen and towels are provided First basket of logs for wood burner are free thereafter a small fee per basket is charged.